Darlington Mowden Park moved to the summit of National One after an excellent performance against Rotherham Titans in Round Two. Danny Brown’s men, who finished second last term, are now the only side in the division to have picked up maximum points while Chinnor, Rosslyn Park and Old Elthamians have also won their opening two fixtures. 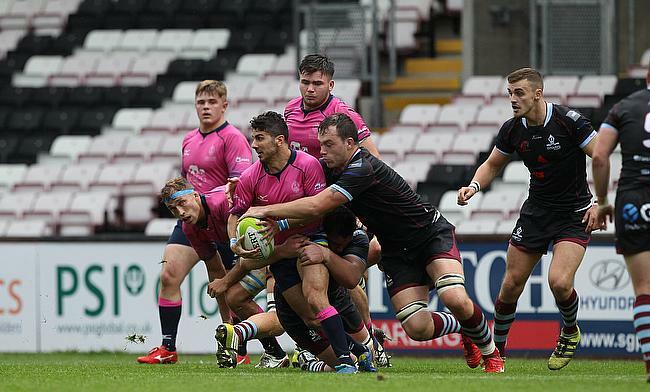 Sale FC and Cambridge remain unbeaten after victories against Caldy and Loughborough Students while Cinderford and Plymouth Albion opened their accounts for the new season on the weekend. Darlington Mowden Park notched six tries as they beat National One newcomers Rotherham Titans to secure consecutive bonus-point victories. DMP showed their intent as tries from Ben Frankland and Bruno Bravo helped them lead 14-0 at the break. After a commanding first half display, the hosts continued to stay in control as Chris Georgiou grabbed his second try of the season. Dan Richardson went over for Rotherham after coming off the bench, but DMP asserted their authority once again as Talite Vaioleti and Ben Stevenson both dotted down. The Titans did produce a late flurry as Richardson and Seb Nagle-Taylor crossed, but the home side had the final say as Jake Brady went over to complete an excellent afternoon for Danny Brown’s side. Chinnor sealed back to back victories as they edged past Ampthill and District to continue their dream start to life in National One. After an opening day win away at Plymouth Albion, scores from Alex Dancer, Craig Holland (2), Joe Dancer, Reon Joseph and a penalty try gave the hosts a deserved victory against Ampthill. The A’s replied with tries from Sam Hanks, Kevin Barrett (2), Matt Collins and Sam Baker to secure two losing bonus-points, but it was Chinnor who maintained their unbeaten start to the season. An excellent first half display from Rosslyn Park proved to be enough as they held off a spirted comeback to beat Bishop’s Stortford. Park led 22-5 at the break after a penalty try plus scores from Benji Marfo and Ollie Grove, but Stortford burst into life in the second period. Jimmy Rea added to Tom Walker’s first half try, but Park gave themselves some breathing space as Harry Leonard pinged over a penalty. Stortford then set up a tense finish at the Rock as Sam Winter sniped his way over with a quarter of the game remaining. However, Park managed to stay composed to clinch successive victories to begin the campaign. Old Elthamians claimed the bragging rights at Well Hall after a controlled second half performance against local rivals Blackheath. Fred Hosking, Ben King and Hamish Barton scored tries as OEs made it consecutive victories to kick off the new season. After falling behind in the first period, Blackheath capitalised on two yellow cards shown to OEs to level the scores as Josh Peters crossed, but they could not get any closer to winning as the visitors had the better of the second 40. Cambridge’s new era under Richie Williams sparked into life in Round Two as the Blood and Sand held on for a narrow, but deserved win over Loughborough Students. Five points from the boot of Ben Penfold plus tries via Ean Griffiths, Sam Yawayawa and Steve Hipwell secured victory for Cambridge, who remain unbeaten after an opening day draw with Sale FC. Jack Moates and Mark Dixon crossed for the Students who are still searching for their first win of the campaign. Chris Johnson scored 21 points as Sale FC secured their first ever victory in National One as they beat Caldy at Heywood Road. A penalty and a converted try by Sale’s fly-half put the hosts 10-3 up inside the first 20 minutes and the Manchester-based club were able to extend their advantage just before the break as Jonty Rawcliffe dotted down. Caldy did hit back with two penalties from Ben Jones and it was first blood to the visitors after the interval as Nick Royle darted over. Johnson was able to give Sale a cushion with three penalties over the course of 19 second half minutes, but the away side added another three points from the boot of Jones. The game was still in the balance at 26-19 with a couple of minutes remaining and Caldy could have snatched a share of the spoils when Luke Hibberd went over in the corner, but the Wirral outfit were unable to convert as Sale held on for the win. Nathan Taylor scored a hat-trick to help Cinderford overcome Birmingham Moseley to secure their first victory on their return to National One. Taylor grabbed his first try to edge Cinderford back into the contest at half-time, after scores from Taraiasi Wara and Tom Fidler helped put Moseley 20-10 up at the break. Cinderford began the second half on the front foot as Taylor went over for his second, but James Williams’ third penalty of the afternoon increased Moseley’s lead to six points. However, a third score from Taylor won it late on for Cinderford. Plymouth Albion bounced back from their opening day defeat to Chinnor as they beat Esher thanks to a trio of tries from captain Herbie Stupple. Owen Waters landed an early penalty to put the hosts ahead, but Jon Dawe went over for Plymouth as the away side immediately hit back. Esher edged in front after Albion’s score when Waters struck over a penalty and converted his own try and the hosts did lead 18-17 at the break thanks to a further effort from Chris Arnold. Stupple did grab two of his three tries in a frantic end to the first period, but Esher continued to stay ahead as Waters pinged over another penalty after half-time. However, their four point lead was to be overturned as Stupple powered over 10 minutes from the end to seal an important victory for Kieran Hallett’s side.